Source: D.J. 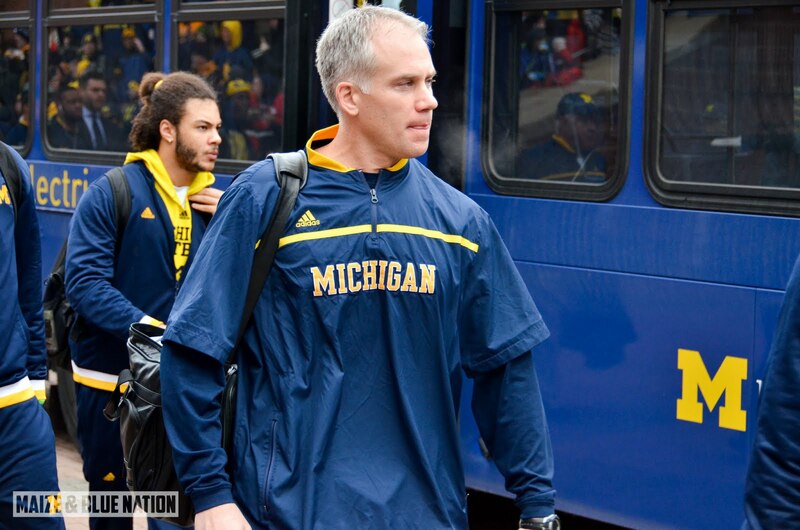 Durkin will be the next coach at Maryland. ...it appears Michigan will be in the market for a new defensive coordinator next year. This shouldn't come as a surprise as we knew going into this thing that the 37-year old Durkin had head coaching aspirations. His star is on the rise and with multiple head coaching gigs sprouting up around the country, the timing was right for DJ to move on. Maryland is a tough place to cut your teeth as a first-time head coach, as the Big Ten East is juggernaut when it comes to opposing coaches. But Maryland isn't exactly a long-term destination for most coaches, not to mention young and talented ones...so if Durkin can string a couple decent seasons together with a big win or two here or there (please not against us), then he'll move on quickly. As far as the bowl game goes, Greg Mattison will likely handle the coordinator duties for Michigan. Replacements? I'm sure quite a few names will be mentioned. With college staffs currently being dismantled and pro staffs soon to follow once their regular season ends, there will be a multiple coordinators on the market. Here's an early primer from 24/7's Steve Lorenz ($).